Thanks you saved the thread from being totally useless-- thanks! Well it wouldn't be very 'green' of me to just waste it now would it? It happens. Like the time when I put the car keys in the freezer and the bag of perogies on the key hook. What is this thread about, again ? I opened a new thread thinking I was in another place and then moved the content to another place. Why would you suggest such a thing, just because you tossed it aside without so much as any considerations for its potential, doesn't mean it can't serve a purpose. By calling for its closure, maybe Sean in Ottawa never heard of recycling. I am squatting here and will discuss with myself. About what? Who cares, about what. Perhaps someone can tell a joke here and make it more interesting. Here, have this. I was told I should periodically delete them anyway. What's with this constant need to platicate people with food? First a tootsie roll and now a cookie? Good question. It undoubtedly stems from some deep and ancient insecurities. Would it surprise you to know I do most of the cooking in my family? I'll take it up with my therapist. 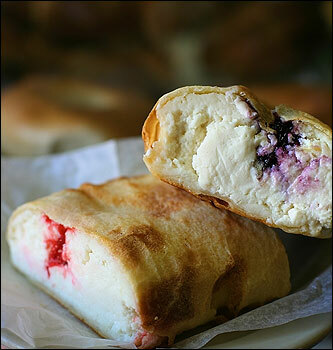 Meanwhile, here, have a nice knish. Everything will be fine. You do realise that it is close to supper and you are making me drool which might short out the keyboard. A see through towel might be better. I don't slobber!